Welcome to the (Thai) city that never sleeps. 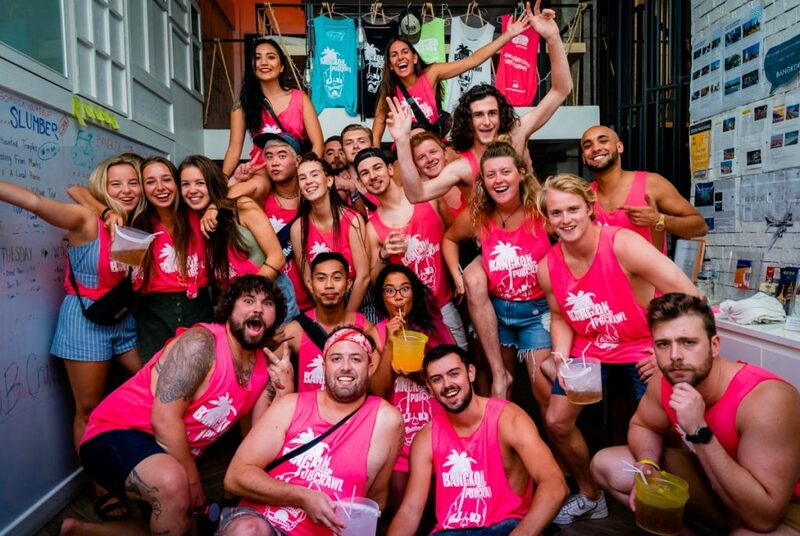 You’ve seen the movies, you’ve heard the stories, and now it is time to experience the city debauchery, culture, and chaos first hand and who better to show you than the #1 Party Hostel in Asia… You can thanks us later. We are located just a short walk to the BTS which will get you anywhere in the city and in the heart of Sukhumvit which is the Bar, Club, Restaurant HUB of Bangkok. Regardless of why you’re traveling, people come here for the same reasons: to make friends and to live our mantra with us “adventure hard / party hard”. We’ve built quite a reputation here in Bangkok. That’s why strangers who made the poor decision to stay at another hostel always end up drinking with us. Book now so you don’t make the same mistake! Slumber Party Hostel Bangkok is located only 300 meters from Sukhumvit Road, within Sukhumvit Soi 1 and 5 mins walk to the nearest BTS skytrain Phloen Chit station or 10 mins walk to Nana BTS Station. 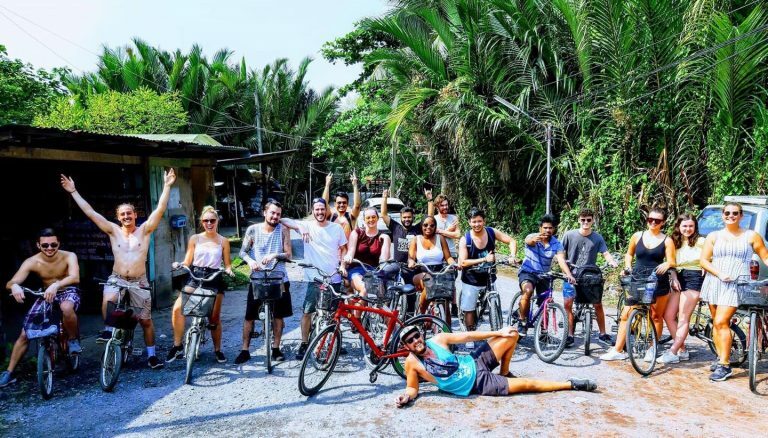 Our hostel offers three room types to suit any style of travelling. The DORMITORY style rooms can accommodate between 10 to 12 people per room. We have unisex, male-only and female-only dorms on offer. The CAPSULE style beds are for those who prefers a little bit more privacy. The Capsule beds come in singles and doubles if you would prefer more room to roll around or travelling in pair. Slumber Party Hostel Bangkok can also accommodate a small group with our TRIPLE PRIVATE ROOM (3 capsule beds and 1 extra bed, 3-4 PAX). Our bathrooms are separate male and female. Both equipped with all that you need when traveling. The common areas offer comfortable cushions, hammock, computers, TV, pantry and partial outdoor space for those who enjoys the beautiful Bangkok’s humidity and heat. WiFi are abundant here – never be afraid to ask for the password! We also have special events planned through the year for our guests. So be sure to check with the reception on arrival to make sure you don’t miss out. Our staff are on standby on site 7am untill 11pm at the front desk to assist and make your stay comfortable and pleasurable- Don’t be shy and come say hello! Explore the ‘Venice of the East’ as it’s called. We’ll cruise the Canals Bangkok and get to see a whole different side of the big city. 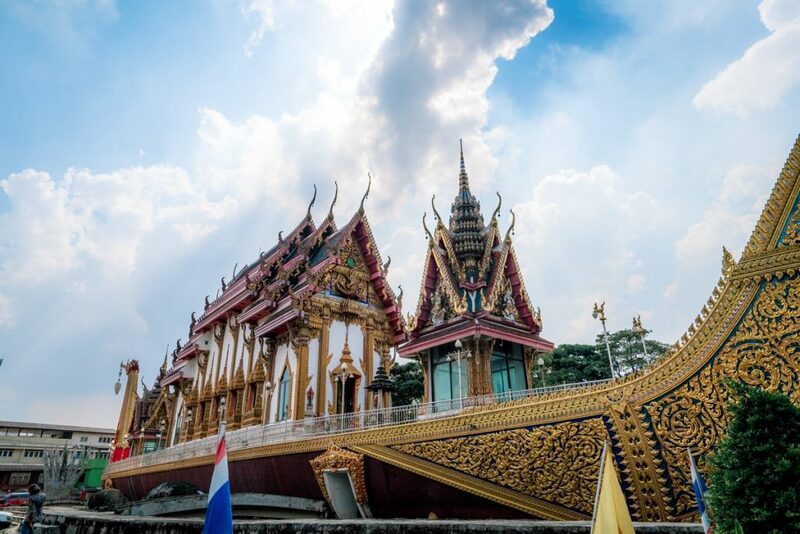 Experience how the locals live, have an authentic Thai lunch prepared at a local families home, see how the boats that fill the canals are made and more! Did you know there is an Island in Bangkok? Well let us take you! 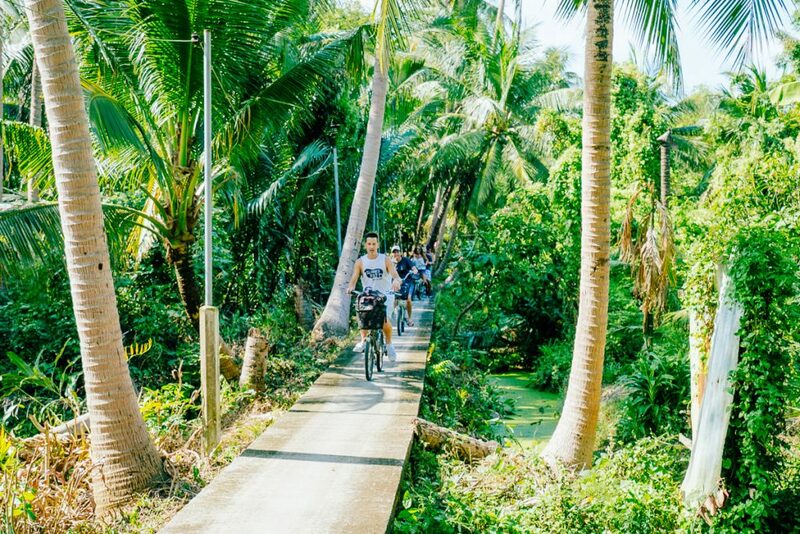 We’ll bike around this jungle oasis in the midst of the city. Checking out botanical gardens, a mushroom farm, temples and LOTS of street food. 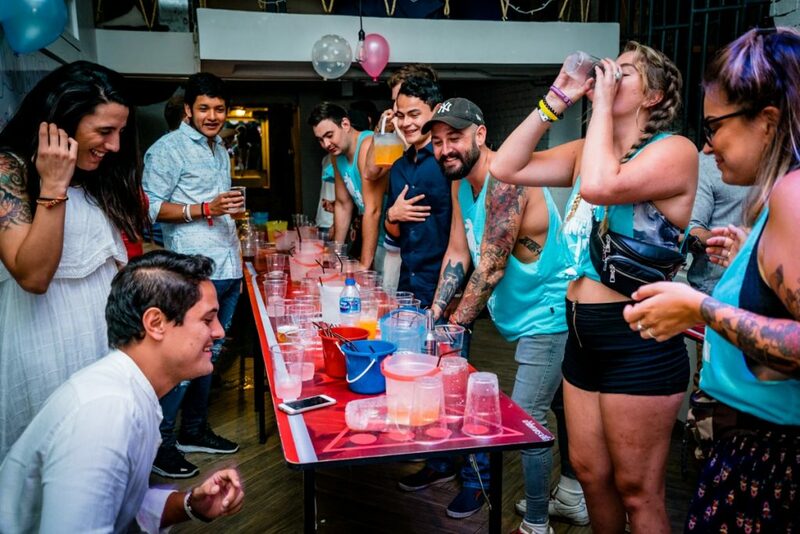 Pub Crawl Nights start at Slumber Party Hostel for night filled with drinking games & madness. Before embarking on our way in Tuk Tuk’s the experience that is Khao San Road. Bucket, Shirt, Shots and a Tuk Tuk all included.